Well water is not drinkable according to official norms. 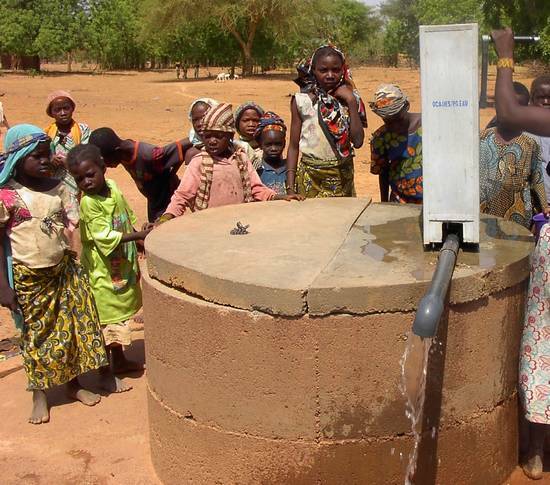 However, a large part of the Burkinese population doesn't have access to pumps on bore wells. 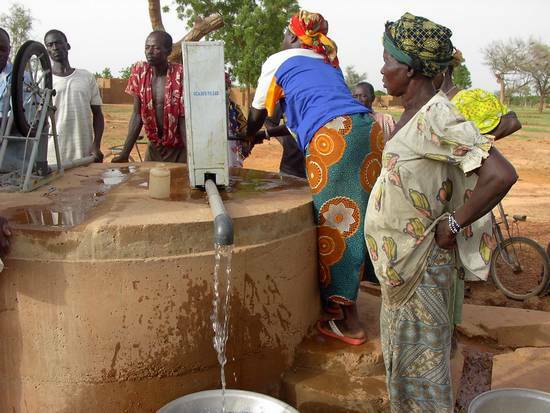 That is why Ocades tries to improve the quality of well water. By using rope pumps, for example. Most wells are open, so dust and dirt fall into the water that becomes turbid. 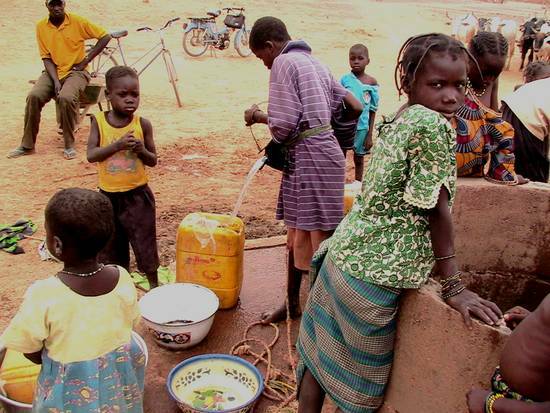 To draw water, women and children use bags, that do not contribute to a better water quality. Sometimes they are six to draw at the same time, which doesn't help the water to stay clean. Drawing water is a heavy job, as wells are often more than 20 or 30 meters deep. 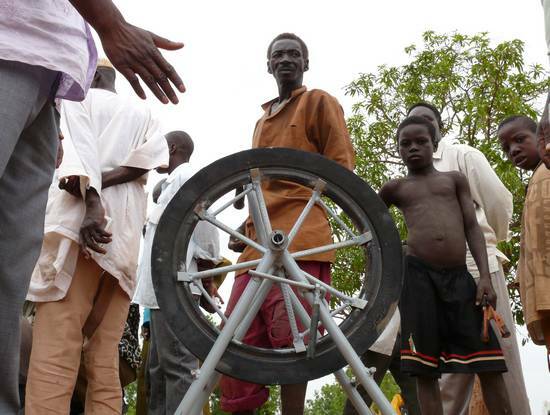 A solution with a lot of potential: the rope pump. A cheap pump made of locally available materials. 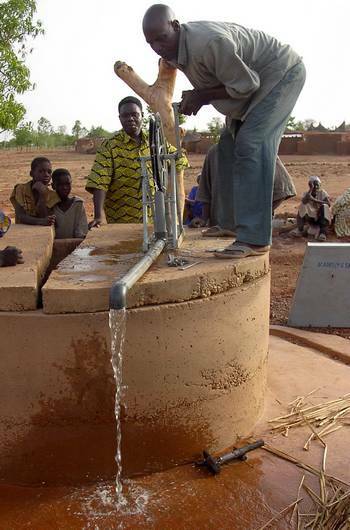 The well is to be disinfected and closed to keep the water clean. All you have to do is to turn the handle and your recipient is filled with clear water. The pump consists of a rope with plastic pistons. Turning the handle makes the wheel turn. The rope moves upwards through a plastic tube and pushes the water to the surface. 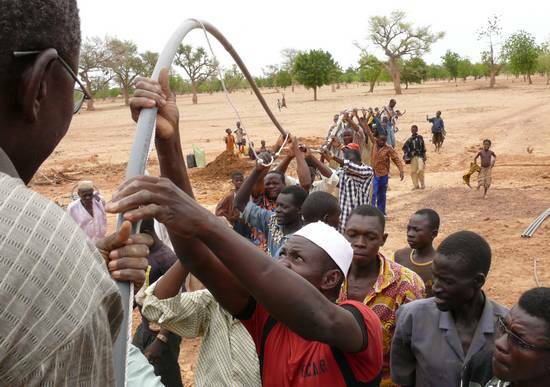 The rope pump comes from Nicaragua, and is already used in Burkina's neighbouring country Ghana. The wheel to be installed on top of the closed well. First, the rope has to be inserted into the tubes. 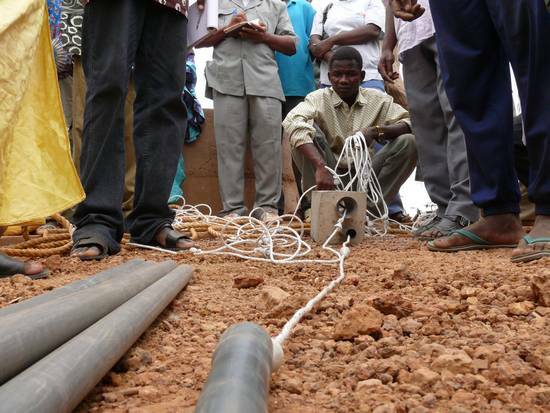 As the tube is more than 20 meters long, all have to help to get it into the well! Once the wheel is fixed on top of the well, we are ready to test the pump. The water that comes out is much clearer.